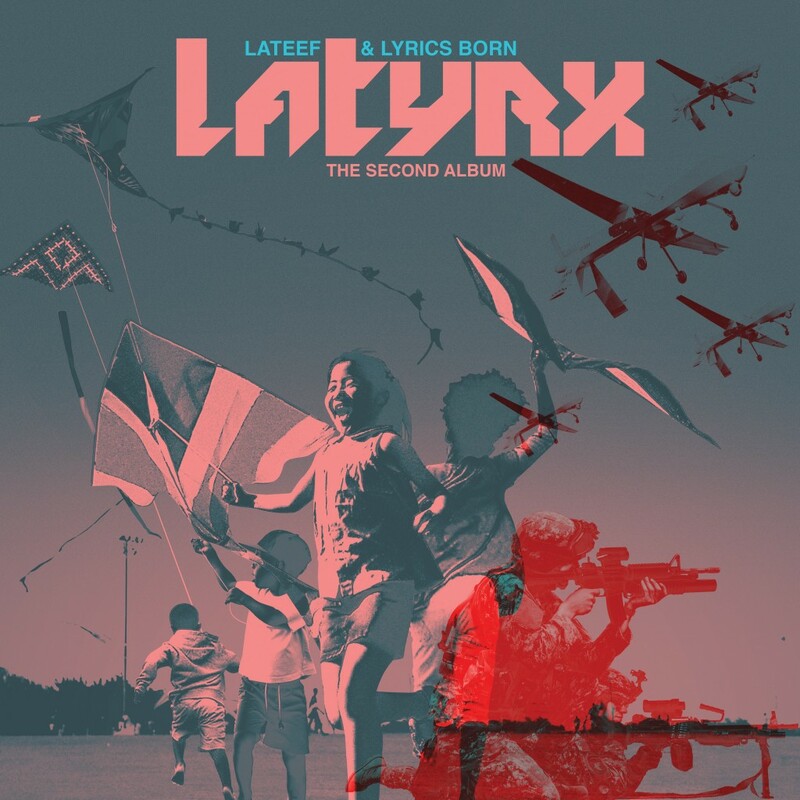 It’s been 16 long years since Bay Area rappers and producers Lateef the Truth Speaker and Lyrics Born, who together make up Latyrx, released their critically acclaimed The Album, widely regarded as a seminal work in the West Coast underground hip-hop scene of the mid to late 1990s. Now, the technically lauded duo are preparing to release a long awaited follow up, The Second Album, due out November 5th with an extraordinary roster of guest artists and producers from groups and collectives that reads like a modern day music festival line-up, including Tune Yards, Anticon, Living Colour, The Decemberists, Blackalicious, and more. The announcement was made yesterday, via Pitchfork, where the duo revealed that the album will be released via Latyramid, with distribution through InGrooves/Fontana. As part of the Solesides collective in 1996, which also included DJ Shadow and members of Blackalicious, Lateef and Lyrics Born’s work exemplified the adventurous, progressive and electronic influences of their underground movement and helped shape alternative hip-hop sound and culture. The duo followed up the success of The Album with the Muzapper’s Mixes EP, which contained what has been referred to as the “one of the only feminist-affirming club bangers in hip-hop history,” the track “Lady Don’t Tek No,” and went on to numerous subsequent solo projects and collaborations, including a combined number of over 8 solo albums, 3 EP’s, 10 mixtapes, dozens of guest appearances and production work, over 1000 shows, and 1 book. After 16 years of fans begging and pleading for a reunion, Lyrics Born and Lateef are proud to bring their unique experimental tone and rhyme patterns back to the forefront with the release of their aptly titled sophomore album entitled, The Second Album. Old fans will rejoice to hear that their favorite duo continue to push the envelope of rhythmic syncopation and vocal patterns while new fans will discover what they’ve been missing this whole time. Live 105‘s music director, Aaron Axelsen, who is credited with helping to break bands such as Radiohead, Foster the People, Green Day, Coldplay, and The Killers, debuted the Latyrx track, “Exclamation Point” featuring Forrest Day on his radio show Soundcheck this past Sunday. Latyrx also performed new material at the 2nd annual Hiero Day block party on Monday, September 2nd in Oakland, California. Latyrx will also be embarking on a fall tour. Details to be announced soon. Latyrx is the alternative hip-hop duo of rappers/producers Lateef the Truth Speaker and Lyrics Born. Rooted in the Bay Area Solesides collective of the 1990s, which also included DJ Shadow and future members of Blackalicious, the duo released their seminal The Album in 1997 to critical acclaim. They quickly followed up with the Muzapper’s Mixes EP in 1998, which produced the notable, boundary-pushing and feminist-affirming track “Lady Don’t Tek No.” Both went on to numerous solo projects and collaborations with other artists before reuniting to work on their long-awaited follow up, The Second Album, which is due out November 5th.